In addition to pain and discomfort, a middle ear infection can cause tiny air cells in the mastoid bone to fill up with pus. As the infection spreads, potentially reaching the brain, the bone is destroyed, resulting in hearing loss. If antibiotics are unsuccessful in clearing up the infection, then mastoid surgery may be needed. The medical term for infection of the mastoid cells is mastoiditis. The condition affects children more often than adults since they are most prone to middle ear infections, but can strike adults on occasion. Bacteria migrate from the middle ear to the air cells of the mastoid bone, which are essential for proper drainage of fluid. Cholesteatoma, a type of skin cyst, can also prevent the ear from draining properly leading to mastoiditis. Symptoms of mastoiditis include swelling, redness, and tenderness of the ear lobe and area behind the ear as well as drainage of fluids from the ear, fever, irritability and lethargy. Mastoiditis can cause serious – even life-threatening – health complications if untreated, so proper diagnosis is a crucial first step toward recovery. 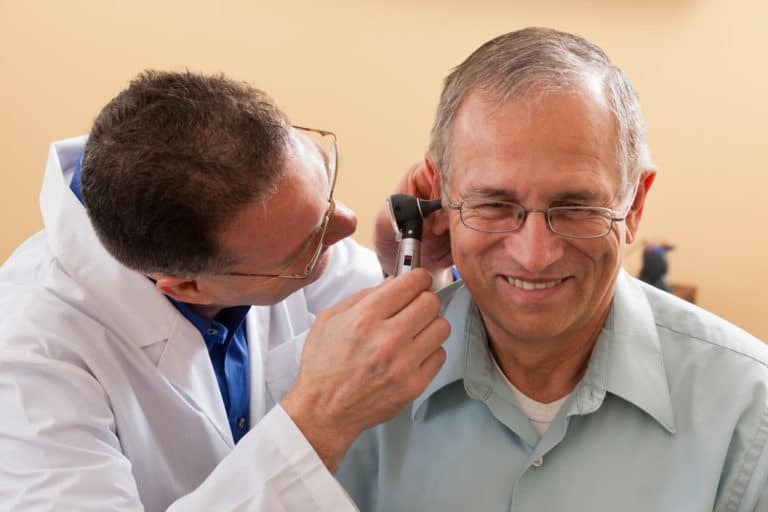 Our doctor will examine your ears with an otoscope, looking for signs of infection. Diagnostic tests such as a CT scan or MRI may be administered to help rule out other conditions. Many cases of mastoiditis are treated successfully with antibiotics. Chronic cases may require frequent visits for thorough ear cleanings. When antibiotics fail to treat the problem adequately, or it recurs frequently, surgery may be necessary. Mastoid surgery, or mastoidectomy, involves drilling a hole in the mastoid bone and removing the infected air cells. This procedure is performed under general anesthesia, and many patients return home later the same day. Afterwards, your ears will be bandaged, and there may be stitches. You might experience headaches, discomfort and numbness. You’ll likely be prescribed pain medication and antibiotics, and will need to return after a few days to have your bandages and stitches removed. You’ll need to keep your ear free of water, and avoid strenuous activity or anything that might create pressure on your ear (e.g. airplane travel). Complications are rare, but might include facial nerve paralysis, sensorineural hearing loss, vertigo, tinnitus, and a change in taste.